Still don’t know what to get Dad for Father’s Day? We were having trouble figuring it out at MISSION, so we put together a list of what we think are the TOP TEN gifts for active, summer loving dads this year! After traveling across the country, going 3-4 at the plate with a two-run homer and a double, most would succumb to jet lag and enjoy a relaxing morning before gearing up for round two. 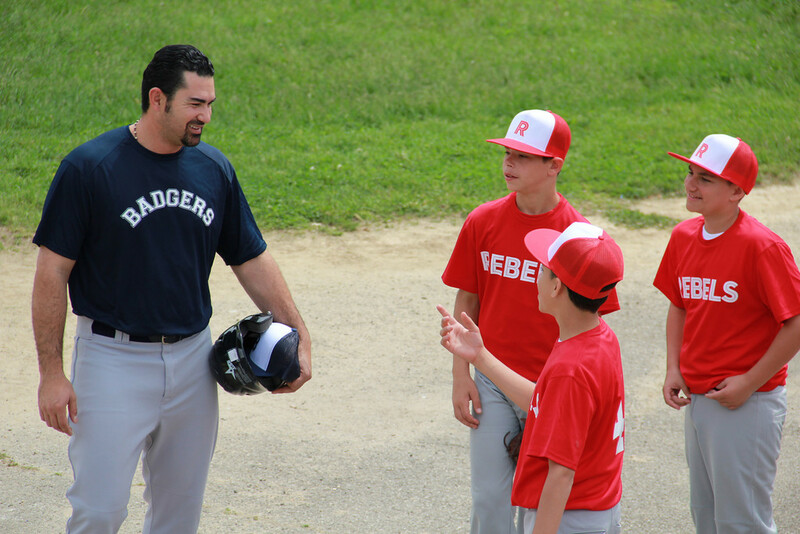 Well, that was not the case for MISSION’s newest athlete, Adrian Gonzalez of the Los Angeles Dodgers. While we loved having Adrian in our spotlight, many of his best moments were off camera. 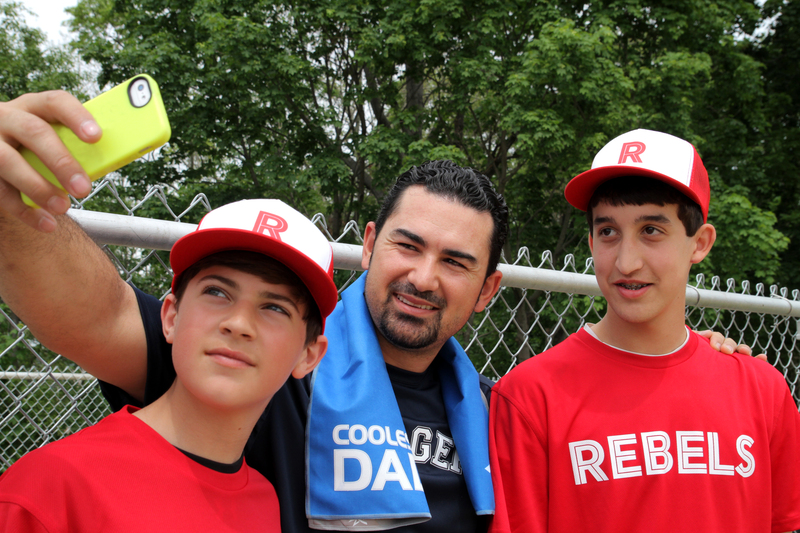 He met all 20 of his co-stars before we starting filming, and took time to take photos with the crew of little sluggers. 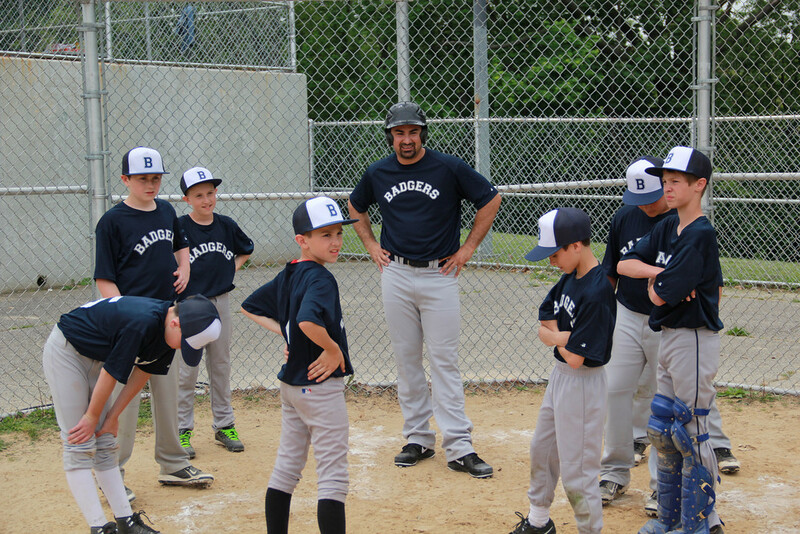 It’s safe to say that the local teams from Rye Brook and Yonkers stole the spotlight at times! Not only did they hit it out of the park with their acting chops, they were real champs when it came to spending all day out in the hot sun. 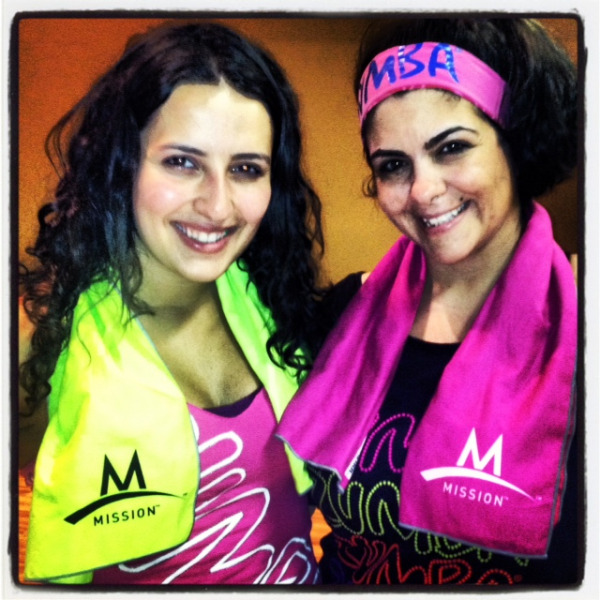 Of course, they rocked MISSION EnduraCool towels on set to keep refreshed! For a one-day shoot, we assembled an All-Star squad and are glad to have Adrian as a part of the Mission Athletecare team. Check out some more pics from the day! We are solidly into August now, and for many athletes, that means they are enduring long, hot practices in the brutual sun and heat. 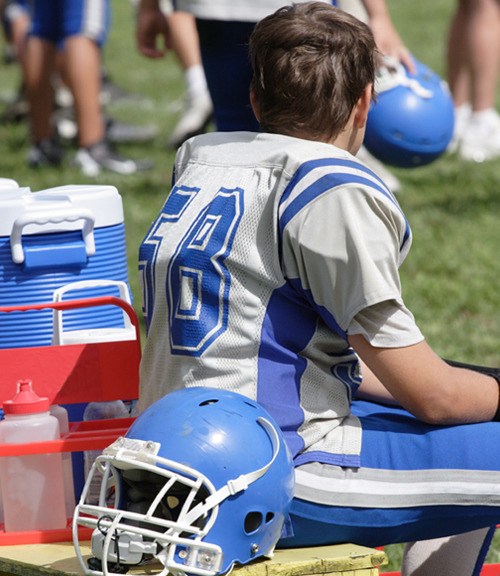 If you are the parent of an athlete, you are likely looking for some information on how to help keep your kid safe as he or she heads into pre-season practices. At MISSION we work with leading scientists, trainers and athletes to help athletes protect their bodies and perform their best. Cooling is top of mind among our partners, as they continue to work to help keep you cooler, so you can go harder. This year we have introduced our Enduracool Instant Cooling Helmet Liner and the Enduracool Instant Cooling Hoodie, developed for Football and other team sports to specifically address the sideline and in game needs of players who experience overheating. But, cooling the skin is one of several important prevention practices to combat overheating. So,while we have been talking about staying cool during the summer in several blog articles; today we wanted to specifially address athletes and ways to help them stay cool at practice. To that end, we wanted to share information that was published by the Korey Stringer Institute and Gatorade www.ksi.uconn.edu in the 2013 Gatorade Heat Safety Kit. They have given 10 tips for staying cool. Check them out below and let us know if you have any other recommendations that have helped you or your kid out in the past. Good luck with pre-season and stay cool! 1. ALLOW FOR ACCLIMATION - While it can take 10-14 days for an athlete's body to adapt to the heat, acclimation should start two weeks before team practices begin. An athlete should start with 15-20 minutes of continuous exercise outside in the heat, and add 5-10 minutes each day. • Drink enough fluid to minimize weight loss -for each pound [16 oz.) that is lost , he or she may need to consume 20 ounces after athletic activity to fully rehydrate. • Check urine. If ifs li e pale lemonade, thafs a sign of good hydration. 3. DRINK UP - Athletes should drink enough fluid to prevent dehydration without ove r-drinking. Flavored, cold, lightly salted sports drinks (ie Gatorade) are important because sodium helps maintain the physiological desire to drink and helps retain the fluid consumed. 5. COOL THE BODY - If experiencing heat illness, an athlete should take steps to cool the body , including lying in a cool place with legs elevated , applying cool towels (ie Enduracool!) to the body and drinking cool fluids. 6. BE FLEXIBLE -An important step in avoiding heat illness is adjusting practice or game length and intensity to the environmental conditions. If possible , athletes should avoid strenuous and high intensity activities during the warmest time of day [10 am- 4 ptn). 8. FIND TIME FOR RECOVERY - Rest and recovery are an essential part of avoiding heat illness. Athletes should work in times for breaks when active throughout the day, attempt to get six to eight hours of sleep a night and sleep in a cool environment, if possible. 9. MAINTAIN A HEALTHY DIET - Athletes need to think about fueling before, during and after physical activity. He or she should be fully hydrated with fluids and fueled with foods that contain electrolytes to maintain fluid levels. Fluids lost through sweat and breathing should be replaced by fluid consumption including during workouts, practices and games [physical activity). 10. HAVE AN EMERGENCY PLAN - Have a plan to contact medical professionals in an emergency. Also keep a "cool pool, or ice bath nearby so medical personnel can choose to immerse athletes suffering fro m heat stroke if necessary. Have you ever wondered what it would be like if you could find an exercise ritual that you actually looked forward to completing every day? Sounds too good to be true, no? Well, MISSION accomplished- I found a solution. If you enjoy music, enjoy having fun and being in a room filled with high energy and a vivacious atmosphere, this will work for you too. I signed up for the gym and just wasn’t motivated enough to make a routine out of it. To me, going to the gym and spending 45 minutes on the Stairmaster sounded more like a dreadful chore, rather than a compelling stimulant to help me lose the weight I gained. I somehow managed to walk into a ZUMBA fitness dance class that the gym was holding shortly thereafter. After walking in late to the class, I found that I was not able to properly follow the instructor; I had two left feet and was nearly five steps behind everyone. The instructor would go to the right and I would go to the left, she would go forward and I would go back. But for some reason, it didn’t matter to me. I still managed to sweat buckets and because of everyone’s support, I had so much fun that I didn’t really care about how badly I messed up the dance moves. Before I knew it, the hour was over and I couldn’t wait to go back to class. One thing led to another and I realized that although lifting weights, going on the elliptical machine and running miles upon miles on the treadmill is an appropriate fit for some, ZUMBA was the right fit for me. After the first two weeks, my waist dropped two sizes and I started to lose the weight that I gained and I couldn’t be more ecstatic about the results. I became a ZUMBA addict- going to class religiously and slowly making my way from the back of the class to the front. Soon enough, my instructor recognized that I had the potential to become a ZUMBA instructor myself. She took me under her wing and she trained me for months until she thought that I was ready to go get certified and become an instructor myself. I rationalized the logistics of becoming an instructor and realized that it only makes sense to get paid doing what I love. Now, as a certified ZUMBA instructor, my goal is to have my students enjoy working out without having to feel the pain of strenuous and monotonous physical activity that takes place in the gym. I want to be able to help those students that want to lose weight but have trouble doing so because they are not really motivated to work out in the gym. With a brightened studio, vibrant energy and smiles all around, the ZUMBA workout can potentially become an addictive and healthy hobby rather than an obligatory chore. As an instructor, I create exercises that aim to work out the main “problem areas” people tend to find. Namely; abs, waist, biceps, triceps and thighs. Additionally, make sure all my students keep their heart rate up by making the entire class a combination of cardio exercise and muscle toning. In class, students tend to get pretty hot relatively quickly and release endorphins faster than they normally would because of the intensity of the class. Therefore, they start sweating profusely very quickly even though they don’t feel it. So, when I came across Mission’s Enduracool towel, it immediately became a must-have for class! An amazing product that was going to help my class be fun, not painful, and help people feel cooler and not overheat. It is so easy to use… I just soak it in the water fountain before class and snap it a few times before class starts. Within a minute this towel is unbelievably cool, but not soaking wet, so you don’t have to worry about getting your shirt dripping wet. I use it for a quick burst of cool in between songs on my face and arms, and to cool down after class around my neck. Fun colors like neon green and bright pink fit my outfits perfectly! ZUMBA helped me realize how good it feels to leave the comfort of my home to enter the comfort of a studio and enjoy other people's company while getting my daily exercise. The fun atmosphere along with the vibrant attire makes my experience as an instructor much more enjoyable. I never expected to burn up to 1,000 calories in one hour of a dance class. So, if you are looking for the right exercise fit, try it out! Make it your MISSION to push yourself outside of your comfort zone and try alternative forms for exercise. Dance off the pizza you ate today, get to Zumba and it will brighten your day! Just look online to find classes near you and go see for yourself what all the hype is about. Remember to stay hydrated and listen to your body throughout class! My adventure began in Frankfurt as we boarded our Thai Airways flight to Bangkok. It began to dawn on me then that I was in for culture shock. This was my first trip to Asia, and first time eating "authentic" Thai food. The chicken satay appetizer was so spicy I needed plenty of wine with it. When we transferred to a smaller plane in Bangkok to go to Koh Samui I immediately noticed the difference in aircraft and quality. As soon as we touched down in USM airport I realized I was in a third world country that had not yet been developed, at least by Western standards. The jetway was partly dirt. You could see sewers with murky brown water lining the strip. The open air airport was hot, humid and muggy. As we piled into a taxi to the hotel where we planned to recover from jet-lag, I was shocked at what I saw along the winding roads lined with shanty towns. I had never seen poverty like this. While we waited for our room to be ready at the hotel we became drenched in sweat. Thankfully I had thought to pack my Mission Enduracool towel in my carryon bag. I needed this towel to wipe away the huge drops of sweat as we waited for three hours on the patio. We were unfortunately sunburned due to the serious intensity of the sun, my boyfriend had major mosquito bites that were swelling up and we were exhausted. 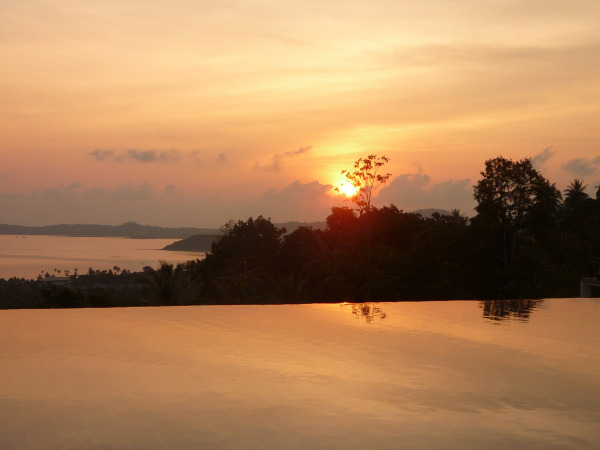 Thus began our month+ in the jungles of Thailand, the islands. 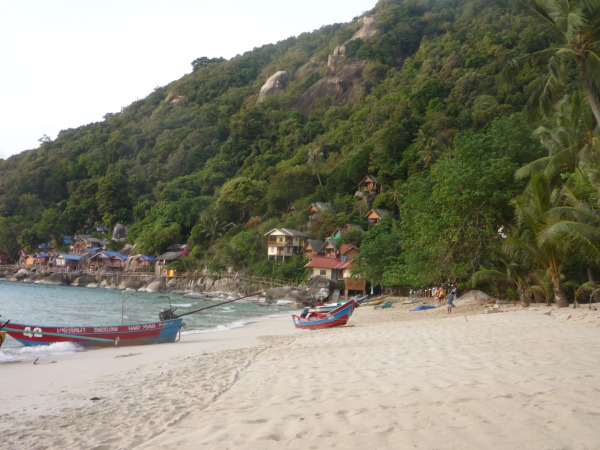 After a few days of shock and adjusting to totally different surroundings we switched from what we discovered was the relative comfort of our hotel to a new island, Koh Phangan. This was considered less developed; mostly jungle; only accessible by motor boat or in our case a longtail boat. 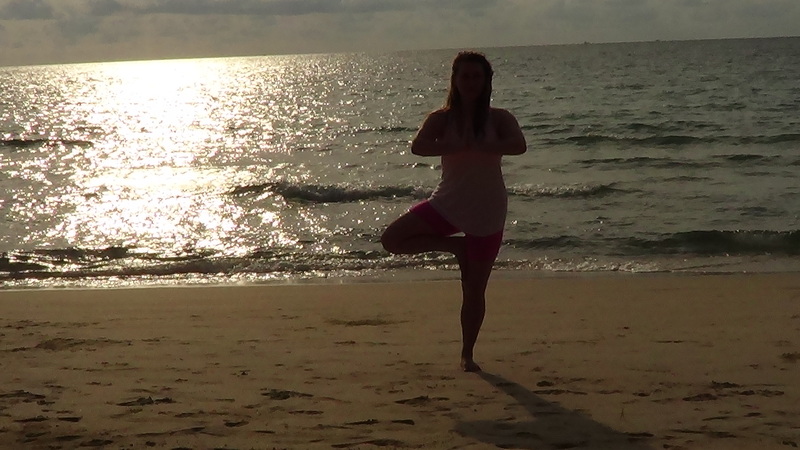 We had intended to study yoga on this island but after only three days in the jungle, in conditions that were unsanitary, unhealthy, and not at all as advertised, I fell ill with extreme heat exhaustion. 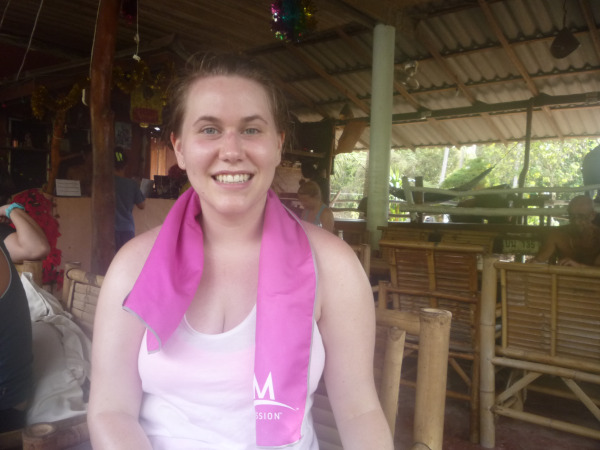 My towel was invaluable in the jungle. We had a 30+ minute hike over a mountainous path from our accommodations to the neighboring beach where the training was held. The temperature was over 100 degrees Fahrenheit and there wasn't clean water available. By the time we arrived at the next beach I would be drenched with sweat and had trouble cooling off my body. My Enduracool towel, worn around my neck over my shoulders, offered the cooling I needed to help my core temperature calm down. 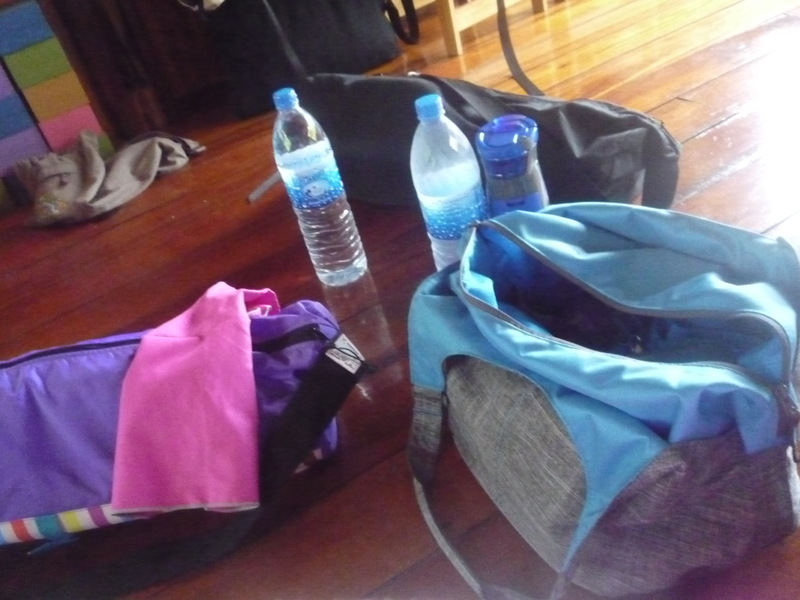 Even after we escaped Koh Phangan, I carried my Enduracool towel everywhere. It was perfect for keeping comfortable while sightseeing. I wore the pink towel like a scarf in Paris and didn't get overheated despite hours of trudging on hot pavement. I'm using the towel now in the yoga studio back in the US, as it wicks away moisture so effectively and doesn't look dingy at the end of a session. While it was the perfect towel for the jungle, you don't need to go all the way to Thailand to benefit from Enduracool! Training, running, competing in hot environments can be grueling. Your body temperature runs higher, you sweat more, you work harder to perform. The skin is the body’s natural radiator. Sweating and vascular dilation - having your blood vessels carry blood closer to the skin - helps your body maintain the proper temperature. On average, your body stays within a range of 96.4 and 99.1 degrees, but exercise makes this more difficult, with variations up to 103 degrees for especially hard workouts. And as temperatures continue to rise, the demands on the body challenge the efficiency of your natural radiator; leading to decreased performance. Emerging science shows that cooling key areas of the skin (namely the neck, wrists, elbows and temples, also known as “pulse points”) can help stimulate thermoregulation signals to the brain, delaying fatigue, and making you feel less discomfort from those grueling hot temperatures. Now, who wouldn’t want to feel less discomfort from the heat, especially if it helps you feel like you could go harder, and longer in your workout? Here are some helpful insights into how pulse point cooling works, and some gear recommends that can help you harness pulse point cooling to maximize your training. So, how can cooling pulse points help? Simply, it helps your body continue that natural process more efficiently. Cooling your pulse points (those points where you blood travels closest to the surface of the skin) with water, cool fabric or towels provides a greater heat differential to allow for a greater amount of heat to be lost through evaporation of sweat. In other words, if the goal is to help your body be a more efficient radiator, concentrate this effect on the parts of the body where the most good can be done... the neck, the temples, your wrists... where the most blood travels closest to the surface. In one study by the National Athletic Trainers' Association, using pulse point cooling on the neck during exercise helped athletes to lower heat strain, exercise five minutes longer, tolerate higher temperatures internally and increase performance by six percent. In a separate study from Stanford University, athletes who practiced the same pulse point cooling technique were able to delay fatigue, train harder, gain muscle more rapidly and most importantly, train longer than competitors. It is evident that overheating is not something to be taken lightly. And there is no replacement for hydration and prevention (see TIPS TO PREVENT OVERHEATING in our previous post) But as athletes continue to look for the extra edge, understanding the science behind pulse point cooling can inform training regimens and gear considerations. Building on the science of pulse point cooling, MISSION has launched a new collection of Instant Cooling Gear to target pulse points and help you feel cooler. MISSION’s new EnduraCool™ Instant Cooling Gear is powered by patented Coolcore™ technology, and offers innovative, intelligent and sustainable cooling solutions to athletes across all sports – from individuals to teams, casual competitors to professionals. The new EnduraCool™ Instant Cooling Gear lineup includes: Instant Cooling Hoodies, Instant Cooling Sleeves, Instant Cooling Skull Caps, Instant Cooling Helmet Liners and Instant Cooling Headwear. The line builds upon the research and thermoregulation technology that originally produced the Mission EnduraCool™ Instant Cooling Towel, and offers instant cooling benefits in lightweight and breathable textiles that also include UPF 45+ sun protection. 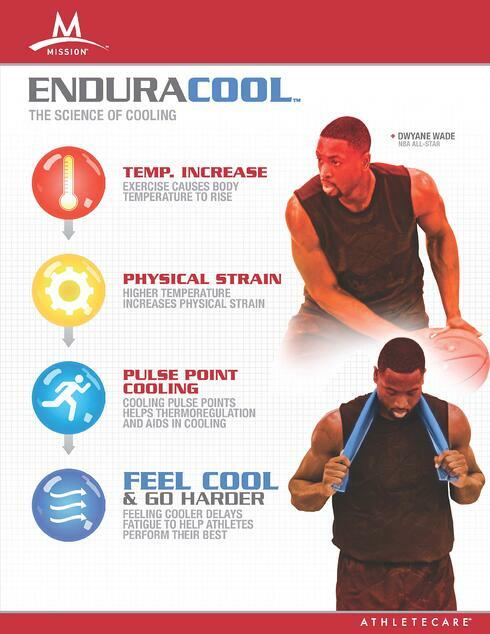 A simple process activates the cooling technology in all EnduraCool products. Athletes simply wet it, wring it out, and allow air to circulate into the fabric. The fabric cools to approximately 30 degrees below the average body temperature in under a minute, and the cooling effects – easily reactivated by re-wetting the fabric (with water or sweat) and re-introducing air flow – last for hours. Feel Cool and Go Harder. Memorial Day… the “unofficial” start of summer for many. While we love much of what summer brings, it can also bring blistering heat, and the challenges to keep yourself and your kids cool. However, as long as you take a few essential precautions, breezing through the summer heat can be easy. Let’s face it. Our kids aren't familiar enough with the symptoms of overheating to let us know when they need to take steps to stay cool. Children also sweat less than adults, making it harder for them to cool off and putting them at greater potential risk. Preventing dehydration, overheating and sun damage are essential for families in the summer. Balancing time in and out of the sun will help everyone enjoy summer more. So if you are out there this weekend, kicking off your family’s summer of fun, follow these 5 simple tips to prevent sun and heat-related illness. 1. Hydrate: Drink water. Stay fully hydrated by drinking water with other caffeine-free liquids. When you drink liquids with salts, sugar and minerals, you replace what you sweat out. Alternate drinking water with sports drinks and juices. Drinking water-rich fruit such as grapes or watermelon will also help kids replace fluids, nutrients and minerals. Kids old enough to eat whole grapes might enjoy them even more while frozen. 2. Stay Protected from the Sun: Play in the water, but remember to reapply sunscreen frequently. Playing in water, whether in the ocean or the pool, helps prevent overheating. But even water resistant sunscreen will wash off eventually, so reapply frequently and after leaving the water. If you kids are sweating while playing pick-up games with friends or at organized sport camps, re-application is critical here as well. General rule of thumb is that water resistant sunscreen like MISSION’s Kids Continuous Play Sunscreen SPF 70 has up to 80 minutes of water/sweat resistance. 3. Dress Cool to Feel Cool & Protected- Light, breathable clothing keeps everyone cool. Pastels and whites aren't just fashionable for summer: they help reflect light away from the body. Loose, lightweight, breathable fabric will keep kids cool. Sunhats for kids help protect their face and eyes, which can be crucial protection for kids who won't wear sunglasses. And now, there are more and more wearable accessories that have Ultraviolet Protection Factor (UPF) that block the majority of harmful rays that kids are exposed to when in the sun. MISSION’s new line of Instant Cooling Gear will not only help your kids stay cool, but the fabric has UPF 50 protection from the sun! A two-in-one product to defeat the sun and heat this summer. 4. Bring Down Skin Temperature & Cool Pulse Points - Pulse points are essentially areas where you can feel your pulse because your blood vessels are close to the surface of your skin. Because they are so close, you can help cool off your blood by getting the area in contact with cool water or fabric. Your neck is arguably one of the most effective pulse points to try to keep cool. Other pulse points include your wrists, the insides of your elbows and knees and your temples. When kids exhibit symptoms of heat exhaustion parents can help cool them by running cool water on their pulse points. Jumping in a cool pool will also help, but let’s be honest; a cool body of water is not always readily available. When you need a portable solution that will cool down the skin, but not soak your kid’s clothing at the same time, try MISSION’s Instant Cooling Towel. A quick burst of cool anywhere that will give your budding all-star relief. 5. Limit outdoor activities during the hottest part of the day- This is either 10 a.m. to 2 p.m. or 11 a.m. to 3 p.m., depending on your location. 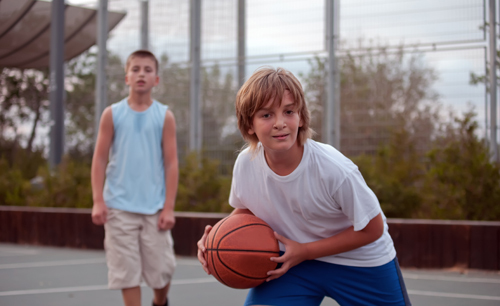 Kids can still play outside during this time, but make sure that shade and beverages are nearby and check kids regularly for signs of overheating or sun damage. If you are attending a special event like a sports tournament, a fair or going to an amusement park, check the venue map for the nearest food courts or first aid facilities. They often have shady areas where you can cool off when needed. Play Hard. Have Fun. Happy Memorial Day! Get your MISSION on! How Important Are Pre-Game Rituals for a Team? Success in professional basketball is a product of immense preparation. One important aspect of preparing for a game is the concept of “pre-game rituals”, or the routine a player goes through in the time immediately leading up to a game. Not to be confused with locker room superstitions, this routine that a player goes through not only makes for a great show for spectators, but also helps players to become both physically and mentally prepared prior to game time. Perhaps the most well known pre-game ritual is associated with the league’s most well known player: Lebron James. At the conclusion of introductions, James heads straight to the scorers’ table and powders up his hands. He then lets the powder fly into the air, almost always eliciting a massive reaction from the crowd. Some players are also now using a newer product called Mission Power Grip, which is a “liquid chalk” that they apply to their hands for a “dry grip” on the ball. Right before tip off or when checking in, some players will step on a sticky mat to clean the bottoms of their shoes and more and more players are now applying Mission Court Grip to their sneakers for enhanced traction. Other players have specific shot routines that they go through, always making sure they take a certain amount of warm-up shots at certain areas of the floor. Some players must touch certain areas of the floor in their warm-up. Ultimately, pre-game rituals have become an essential part of the pre-performance routine and allow players to feel comfortable and ready to take on their opponent. In addition, it is the time when players apply their “tools of the game” that will help them perform to their potential. 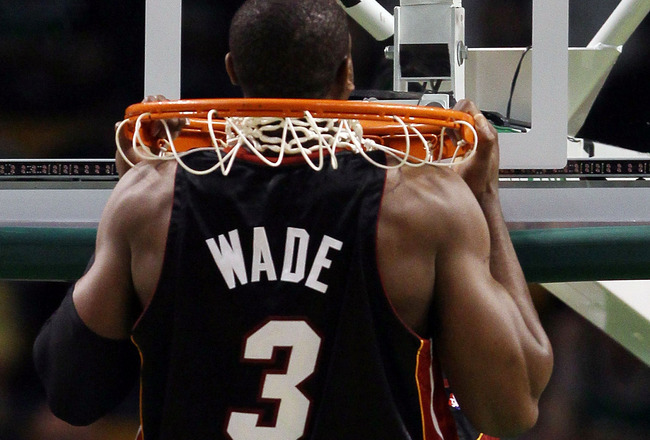 So….what is the craziest pre-game ritual YOU have seen at any level, NBA, College, High School, etc.? Quality not quantity: You have a busy schedule, so chances are you won’t be able to leap into running marathons from the get go. So when you run, go for quality, not quantity. Go for long runs when you can, but when you can’t, focus on speedwork or hill work to work your muscles and lungs in a short amount of time. A little goes a long way. Make the time: It may feel like you’re running around doing something for everyone else, but you need to make time for yourself. Carve out even 30 minutes several times a week to focus on running – someone else can make dinner, fold laundry, or maybe they can even come with you! Maybe you have some time in the morning or during lunch. Slowly work it into your schedule and it will get easier to manage. Do what works: The treadmill. A gym. Going around the block. Finding a running partner or group. Listening to great music. Invest in good running shoes, or use anti-chafe cream to keep your skin comfortable. There are many options to get you out and running, so try them all. You need to do what works for you so that you can go for runs and keep at it. Keep it enjoyable: Running is hard work, so why make it harder than it needs to be? For example, listening to energetic tunes can help give you motivation. Wearing your favorite shirt can make you feel attractive. Using water resistant sunscreen can protect your skin without slowing you down. Running along pretty routes can keep it interesting. The more you like running, the more you’ll do it. Just run: Cross country skiing is a good workout. So is cycling, swimming, Pilates, yoga…but if you want to get better at running, then you just have to run. You can add in other activities, but don’t substitute them for running. If you want to run, then there’s only one thing you can do – run! For busy moms, it can be difficult to get the motivation to pound the pavement, but with the right attitude, equipment and skin saving accessories like sunscreen and anti-chafe cream, as well as dedication, it can be done. And once you start, you’ll be glad you did.